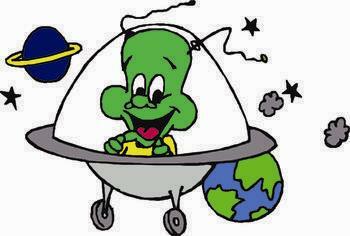 Every growing child experiences at least one fear as they navigate this winding path we call Life. 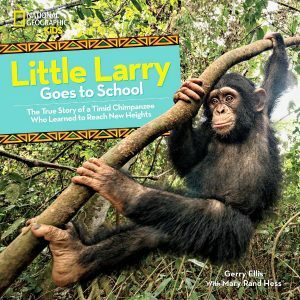 This, apparently, includes baby chimpanzees, as evidenced in the adorable new picture book, Little Larry Goes to School: The True Story of a Timid Chimpanzee Who Learned to Reach New Heights, by Gerry Ellis and Mary Rand Rees. In the book, soon after a baby chimp is born, an accident occurs that leaves him injured and in need of a human caregiver. The caregiver has to teach Little Larry how to groom himself, how to use his hands to pull himself up, and how to get along with the other chimpanzees. When the time comes (at age one) for Larry to learn to climb trees so he can diffuse a squabble with other chimps or escape from predators, Larry holds back. He’s afraid to climb, and instead, only sits and watches. But after practice, courage and a healthy dose of the caregivers’ patience, he finally learns to climb. As animal books go, this book should be well received by young readers. The prose is simple and age-appropriate, and the photographs live up to Sports Illustrated’s high standards of color, clarity and unique perspective. There is a map of Africa in the back, and even a visual display that shows young readers how to speak like Little Larry, and what his “play face” looks like. That being said, it must be mentioned that there are choppy places in the manuscript. For example, the book opens by documenting Larry’s birth, then the prose seems vague. The author writes: “It was the rainy season at the sanctuary…” but he does not identify the sanctuary. In fact, until he mentioned the word “sanctuary,” this reviewer assumed that Larry the chimp was born in the wild. Next, the author writes, “Just days later, there was an accident that left the newborn badly hurt.” No mention is made of the type of accident, how it came about, the extent of Little Larry’s injury, or what, if anything, happened to his mother. The author simply explains that a caregiver steps in to educate the chimp — and eventually teaches it to get along with the other chimps. Still, young readers who love stories featuring hairy, huggable heroes, and older readers who love books that encourage wild life conservation, should enjoy this book. The photos of Little Larry are, again, adorable. 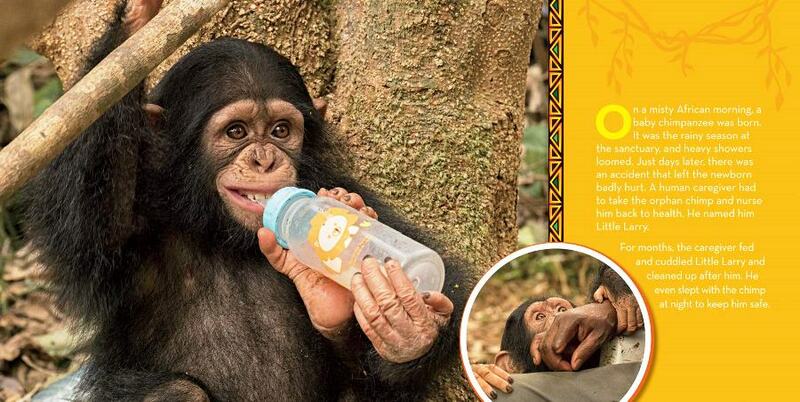 There are images of him drinking milk from a baby bottle, grooming other chimps, and clinging to tree branches. There are broad shots of him and close-ups of his pensive, curious and downright playful moods that makes any reader want to just reach out and hug him.